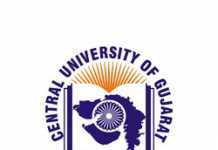 CUCET 2019 Result will be updated here. 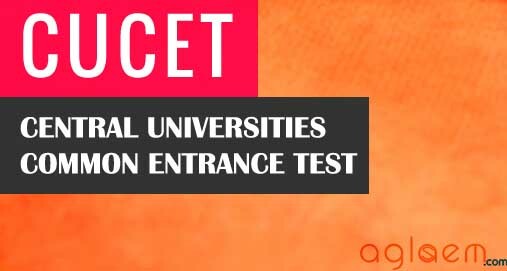 If you have appeared for the Central Universities Common Entrance Test (CUCET) – 2019, then stay tuned to this page for CUCET Result update. The result is available through login. Candidates will have to enter Roll No and date of birth to login and check their result. By doing this, one can download CUCET 2019 score card in order to participate in counselling. Each Central University and BASE handles admission at university level. CUs will declare counselling and admission details on basis of CUCET result and other criteria. The candidates will be able to check the result from the link on this page of CUCET 2019. A counselling round will be held separately for each University after the declaration of the result. The schedule of the counselling round will be updated on the official website of CUCET. 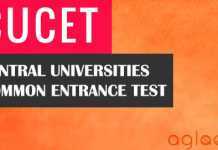 Result: CUCET 2019 result will be announce on official website: www.cucetexam.in. The candidate who shall qualify the examination will be eligible to take admission in the course applied for and the University. Separate counselling schedule will be held by the 10 notified Universities after the successful declaration of the result. Candidates have to visit the link provided on this page. Enter the Roll No along with the Date of Birth. The scorecard will displayed on the screen. Candidates must download it and should take a printout of it. It must be retained till the admissions. If in case candidate forgets his or her password then he or she need s to click on the forgot password tab. Then enter the application number and the verification code. Choose the medium whether email or mobile number through which the password will be indicated. After that re enter the credentials along with the password to check the result. The counselling procedure will be held after the announcements of the CUCET 2019 results. The qualified candidates will be able to participate in the counselling round. All the details of the counselling schedule will be updated on the participating University website and also on the official website of CUCET 2019. The candidates need to visit the official website for the updates regarding the counselling schedule of CUCET 2019. In the counselling, round seats will be allotted to the qualified candidates and the documents verification will be done. In this process, candidates need to submit the important documents. The seats will be allotted according to the marks obtained by the candidate in CUCET 2019. Insofar, Official details for CUCET 2019 has not been announced yet, All the Information on this page is based on last year information brochure and for reference purpose only. As soon as CUCET will release the Information and it will be updated here. The results are already declared, Please follow the steps prescribed in the article above to check yours. How to know the cut off for m.tech cse programme? You need to wait for the counselling and the merit list which will be published soon. When will they release the merit list& admission list? The merit list will be published soon stay tuned with us. When will they release merit list & admission list ? and apart from that 3 answers are not even available?? When i running the counselling form then eligible criteria demand the math in twelfth but i have only biology in twelfth so sir what i do ??? Mobile number is switch off what shoud I have to do now. I ve got counciling message from Punjab central university. so am I eligible for the admission. How can I know my rank in the entrance.